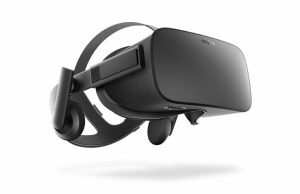 Today at GDC 2014 Oculus VR has announced availability of their second Oculus Rift developer kit, widely referred to as the DK2. 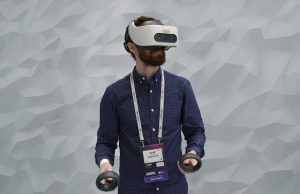 The unit, which includes positional tracking, low-persistence, and other major improvements over the DK1, is available for pre-order starting today for $350 and is expected to ship in July. 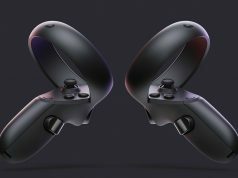 After a seemingly convenient parts shortage that saw suspended shipping of the original Oculus Rift DK1, the company has now opened the doors to pre-orders for their next developer kit, the Oculus Rift DK2. 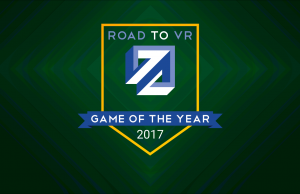 The DK2 encompasses the features demonstrated by the Crystal Cove prototype, that we saw at CES in January, along with a few new goodies. 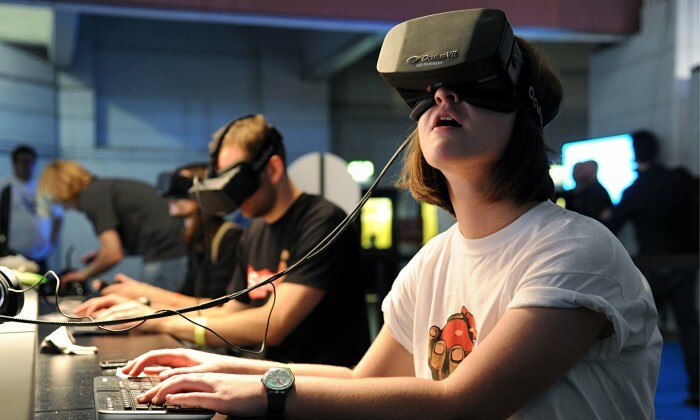 The expected Oculus Rift DK2 release date is July, 2014. The DK2 has a 5-inch 1080p OLED display with low-persistence technology. Positional tracking is achieved with an array of IR LEDs and a custom camera that will ship with the DK2. 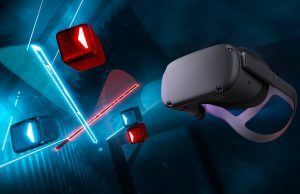 For the new Oculus Rift dev kit, the IR LEDs seen on Crystal Cove have been hidden behind an IR-transparent housing, so no more white dots on the outside of the unit. The lenses have been improved over the DK1; they are larger and clearer across the board. 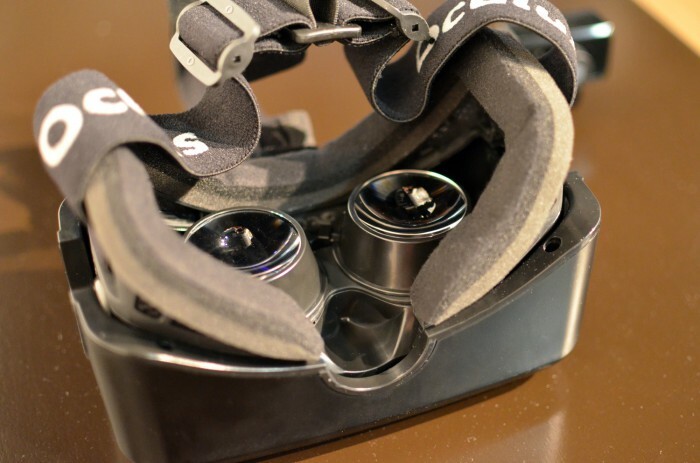 The camera that ships with the device is custom made by Oculus VR, not a rebrand of some existing device. Thanks to the camera and the IR LED array, the unit is capable of positional tracking with sub-millimeter accuracy. The DK2’s lenses are larger and clearer. Those who have been using the DK1 for a while will be delighted to hear that the control box has been eliminated from the DK2. The unit is now powered directly over USB. A single (detachable) 10-foot cable runs from the DK2 and ends with a USB and HDMI connector. 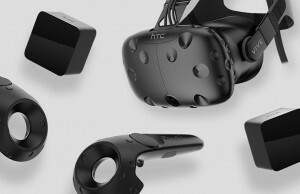 The power button has been moved to the HMD itself and atop the brow of the device is a powered USB port which will come in very handy for connecting peripherals. Next to the USB port is an unidentified port which looked to be about the size of a 3.5mm headphone jack. 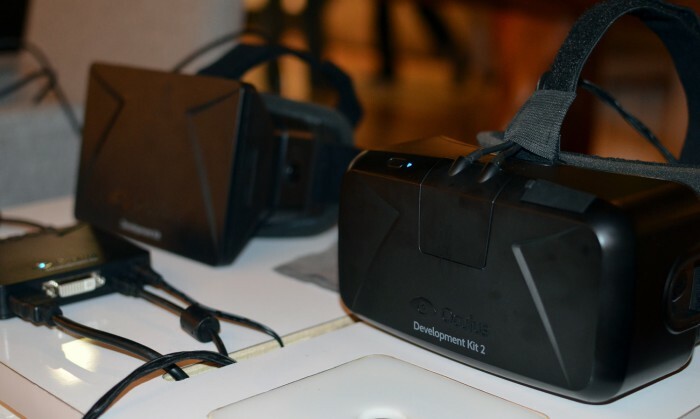 Oculus’ founder, Palmer Luckey, would only confirm that it was not for audio…. I asked Oculus if the DK2 would ship with a carrying case as with the DK1 (which I think most people found quite useful). I was told that they were still unsure whether or not the DK2 would get a case but noted that the cost of the DK2 had gone up substantially over the DK1 and they they were pricing it as aggressively as possible—maybe at the expense of the case. 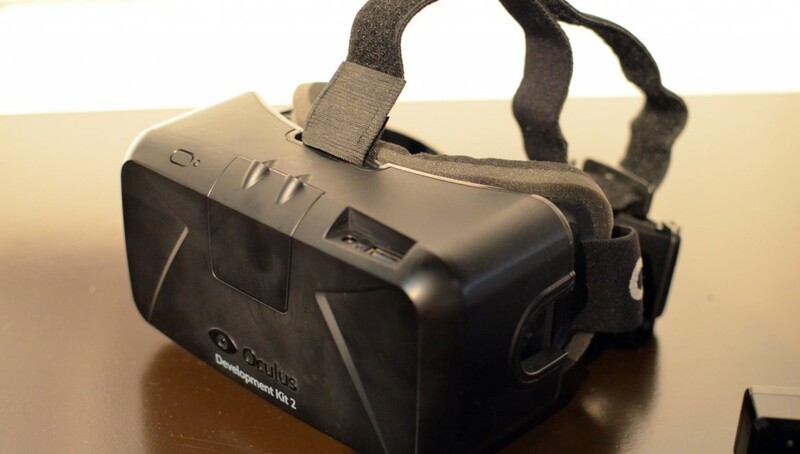 The Oculus Rift DK2 offers an incredible leap in performance over the DK1. 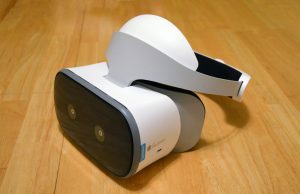 I was impressed with the Crystal Cove prototype at CES, but getting my head into the DK1 and then DK2 side-by-side with the same demo (Tuscany VR) codified for me all of the R&D Oculus has done over the last year. Yes, the screen is higher resolution, but that’s a minor point compared to what low-persistence and positional tracking bring to the table. 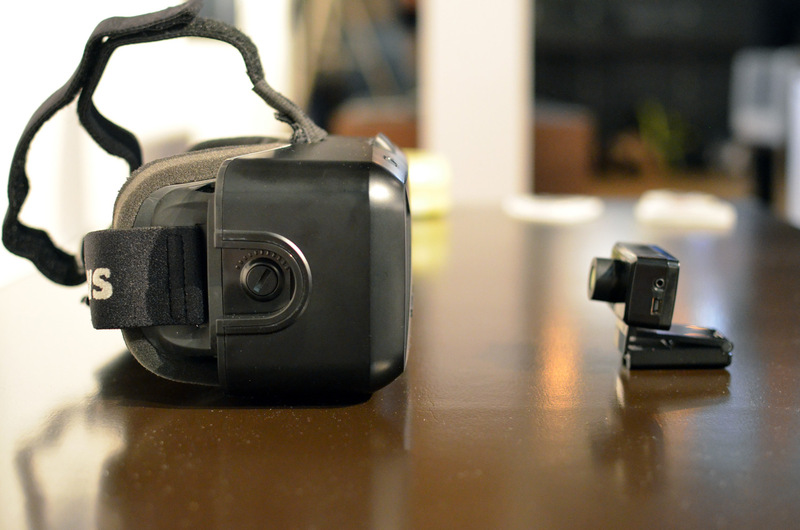 The image is substantially sharper in the DK2 when moving your head, mostly thanks to low-persistence. I swear I could feel the difference between the DK1 and DK2 on my eyes. It’s hard to describe, but where the DK1 feels like looking through binoculars into another world, the DK2 feels like sticking your head out the window into another world. That’s not to say that the field of view is higher, but there’s something far more comfortable about using the DK2. Like going back to a favorite video game of one’s youth, the DK1 will always hold a special place in our hearts, but the DK2 is the decidedly better experience. 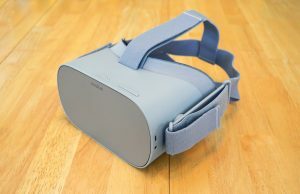 Oculus’ restraint in not trying to sell the DK1 as ‘good enough’ for consumer VR was a vital move that another company could have easily made. Today the show floor opens at GDC 2014 and Oculus VR’s booth is chock full of DK2’s for attendees to try out. 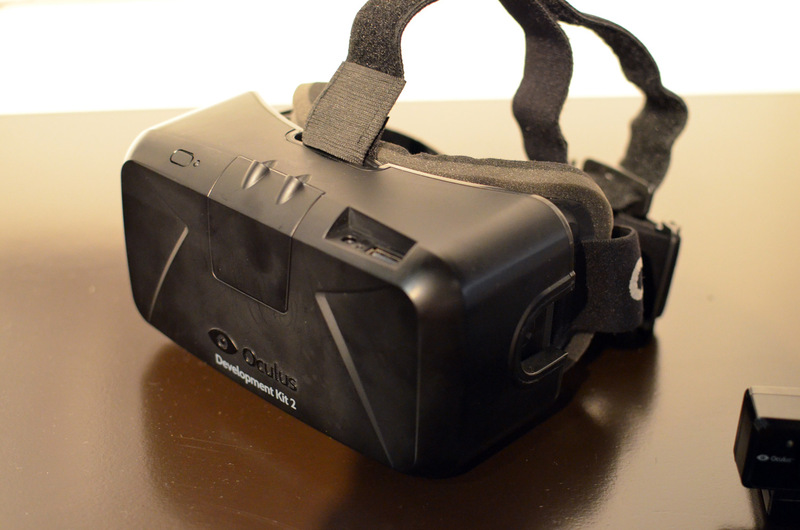 We’ll have more on the DK2 soon, stay tuned! This is very exciting news! 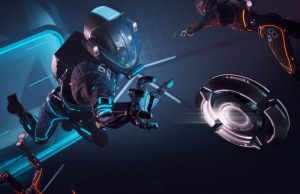 The VR industry is positively exploding (largely thanks to Oculus) and it’s great that it’s being so aggressively developed. Oh snap!! I’m stuck in a refresh loop on the order page now! Did they specify what time they’d go on sale? The step from DK1 to DK2 is clearly amazing, but can they keep it up? Will the step from DK2 to the consumer version be as huge or will it be a few final tweaks? 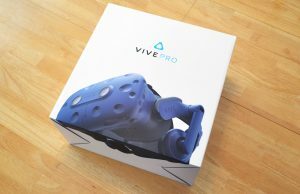 I probably won’t be able to afford it because of my status as a poor student, but VR will only continue to improve so I don’t mind the wait. I don’t think CV1 will be very different from DK2. After all, the whole point of this last DK is to prepare devs for the real thing. Still wish there was more guidance as to what the consumer version will bring, but I’m thinking that DK2 will be sufficient. Overall, I’m liking it. Well I THINK I ordered one. I can’t tell. I got through the process and hit order and it seemed to have an error so I resubmitted and it gave me an error saying there was a duplicate order, so hopefully that means the first is just going through the system. No confirmation e-mail yet. Hope this isn’t another situation of waiting for months in line. REALLY want one bad! If you didn’t get an email confirmation then you likely did NOT get your order in. I had that issue on Chrome, but then switched to using IE and was able to finally get the order in. Of course it may not have been browser related at all, just an issue with timing. 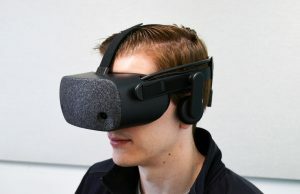 Oculus is no doubt getting swamped with orders right now. I tried to order with Paypal, no go. Had to use my debit card. Money has already been pulled! Immediately got a transaction correction with some money back, haha. Seems my bank is confused about the dollar. Anyway, that was the quickest instant buy I have probably ever done… huuuurgh! And it’s still not a consumer kit, I must be insane. Buuut…. I’ll just have to eat less food. From the specs…. NO CONTROL BOX! Woooo! USB PORT ON THE HEADSET! Woooo! Also hidden IR LEDs? It looks sleek, menacing, like a face hugging robot of doom and destruction from the future! I like it. More surprises than I had imagined… awesome. Only thing I wonder about now is how thick the cable to the actual headset will be…. perhaps no different, but with an accessory port it should be more data… but then again, USB host perhaps. But still “only” a 1080p screen… unchanged from last year. Will CV1 be better than 1080p you think? It could be, but I doubt it. Because of the distortion that has to be rendered, the 800p screen needs the video game to be rendered at 960x1200p. Assuming the same distortion factor, which it might not be, a 1080p screen for the clearest picture possible would need the game to render near 3k resolution. And at 75fps no less. People often think about the resolution just as a fixed number. It’s actually more complex than that, as the screen in the original devkit was way too large. If the screen in DK2 has a close to optimal size the resolution boost will be about 3x or more! I did some calculations on this over at reddit. At least I am excited about this panel :D It’ll be awesome! I agree with you, but because of the screen size going from 7 to 5 and vertical space is lost more from 16:10 to 16:9, how could it affect fov? Any ideas? Yeah, the control box is something that nobody really caught-on to with Crystal Cove, but it’s really huge for the VR community. A USB powered/no control box device is a dream for many experimental setups. Just placed my order, I got a blank screen afterward with url “thankyou”, so I assume the order has been placed. One quick question, the FOV is described as 100°, is that more than DK1? Didn’t that have only 90°? I got the blank “Thank you” page as well (in Chrome on Windows), but looking at the page source code I can see my order number. Hey Oculus: if a whole new case is too much, how about some foam inserts that can ‘fill out’ the DK1 case to accept a DK2? The DK2 looks like it should fit into the cavity for the DK1 with room to spare (due to the smaller panel), and the camera could fit into the space where the control box went. I got my order in using chrome no problem although there were some graphical glitches on their site… I did get my email confirmation so I am a happy camper!! I think the DK2 will be very close to the CK1 with regards to function but form and comfortability will probably be improved… A smaller form factor, lighter, upgrades to the the software making it feel better, are what I expect will be the major upgrades…. I think we will be waiting for CK2 for higher res although 1440p isn’t out of the question for CK1… And I fully expect a higher FOV in CK2 as many of OR competitors are coming out with higher FOV’s in their first version. In any case I am jumping up and down here like a school boy!! 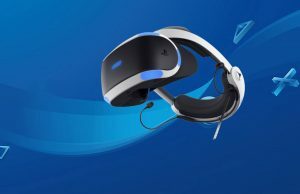 As much as a higher res display sounds good, I wonder if it would really be good for the consumer version, since solid frames per second are so important to the experience, and most current computers will have issue pushing higher than 1080p at the necessary hz for 3D and persistence. That said, I wonder what it is they expect to improve between now and the consumer kit? 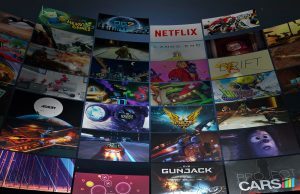 During interview with Engadget, it sounds like the hope to get hz from 75 to 90 for the consumer edition. He also said in things that could change was resolutions, which surprised me a bit. Other than that JI wouldn’t assume anything too big would change, just jumps on existing features like lower latency, higher specs etc. 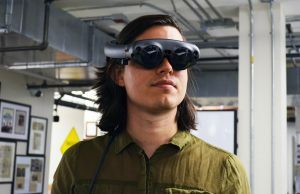 Is it possible to wear the new Dev Kit with glasses? Yes it should be. It has the same dial on the side which I assume does the same thing as the DK1. This is great, I’m really thinking of jumping in now. anyone know if this will work with glasses? I think, as with EVERY optical device, that the CK1 will have some sort of Dioptric Adjustment to eliminate the use of glasses. OUR EYES SEE 180º !! With ~90º you get only half of that… so you can talk about latency, you can talk about low persistence, about psoitional tracking, BUT if you can’t deliver AT LEAST 150º, or 160º FoV, you’ll never be INSIDE the Virtual World, there will be always something in front of you…(With 160º, I know for sure the brain will compensate for the missing 20º with ease in a couple of seconds or minutes). But I mean, with a narrow FoV, there will always be a glass, a window, a tunnel, a binocular, a NOISE, between You and the Virtual World… and that’s not the ideal, not even close. 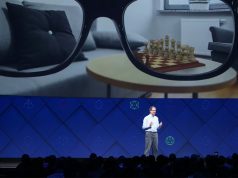 Seems like all the researches done by the InfinitEye or the experiments of Father Geek posted on the MTBS3D using stacked fresnel lenses just for the vision borders were simply ignored for the DK2…..
Perhaps not for CK1. I truly hope. The DK2’s FOV is not a surprise, and it won’t change for the CK1. It’s a limitation of the one-display design. 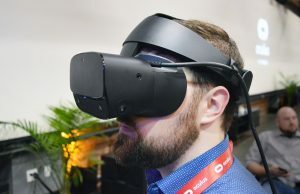 Dual-display designs are more complex and expensive, it’s not what OVR wants for a first VR headset supposed to create a mass market. They never talk about FoV BUT, on a good note, I saw the other day one single interview when some guy asked Nate and Palmer: “The CK1 will have a better FoV?”… .Palmer answered immediately, no hesitation and firmely with a sounding “YES”. 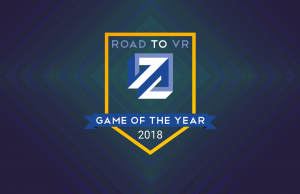 Yes they want “to deliver the best VR”… for the mainstream. With mainstream specs. If they make 110° and keep the price around 300ish, I’ll be happy. But the DK2 wouldn’t be “good enough” for consumer VR ? Hi Ben. Thanks for this preview. Could you tell us something about screen door effect in DK2? Is it still visible? Thanks for answer. Ben, Resolution: 960×1080 per eye is incorrect. That is the panel resolution so per eye it is half of that. It says per eye there. No elecman, they are right, because it’s a 1920×1080 single panel. So each eye has the height of the screen, 1080, and half the size 960. It’s correct. How about the field of view? What is vertical and what is horizontal? Anyone else interested in finding out what the day 1 sales were for the dk2? I’m guessing somewhere in the 10-15k units range.